As promised, this week is all about fireworks here on Letterology. I have always had a love/hate relationship with them. I hate the fireworks, but love all the ephemera associated with it, such as this series of cigarette cards published by Duke's Cigarettes as part of their "Fancy Dress Ball Costumes". 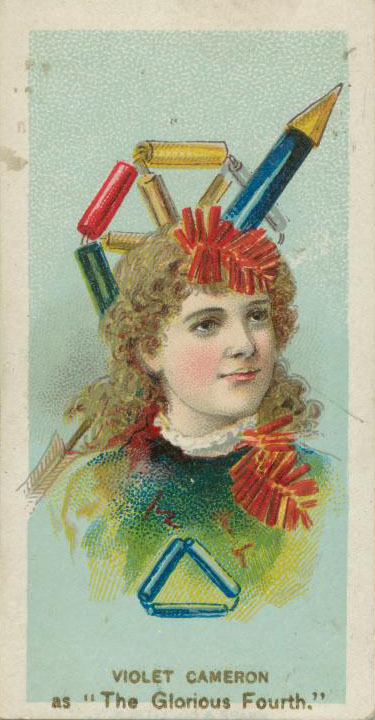 I love the delicious irony of a tobacco card bearing an image of this dangerously explosive headgear. 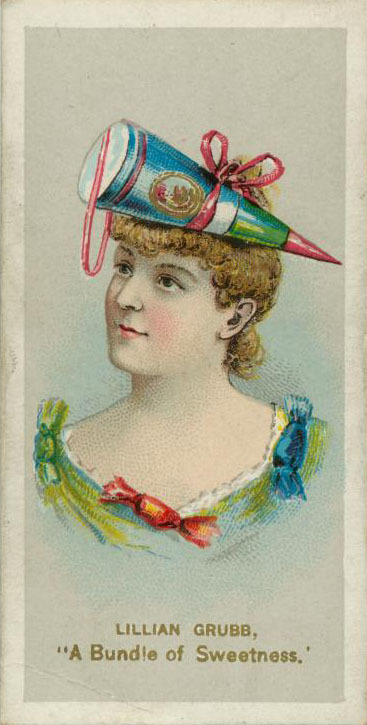 A perfect Summer hat for a festive Fireworks party, but Violet should hope to stay away from those smokers. 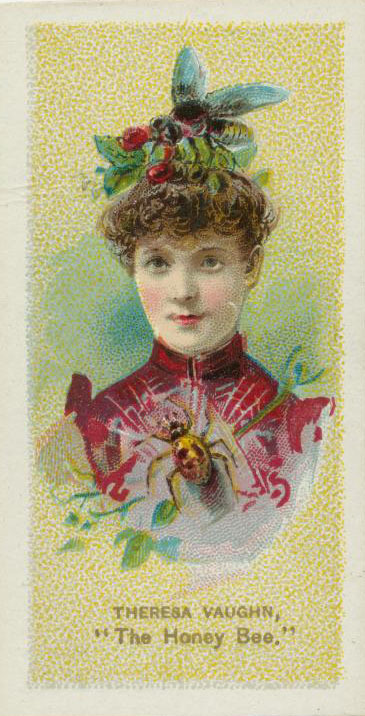 All of these late 19th century tobacco cards are published by Duke's Cigarettes as part of their "Fancy Dress Ball Costumes" series. Altogether, they number about 50 and can be found in the archives of the New York Public Library. This pillbox percussion cap would soon make your head hurt, as you know dang well someone will soon surprise you by drumming a few beats on your head. It does however, display a rousing bit of patriotism. Sweet Lillian here, sports the conehead hat presumably filled with sweet candies. Corinne must be the life of the party with her noisemaker bugle hat. And Theresa here is a picture of Summer with a bee on her bonnet.